Newcastle upon Tyne East is located in Tyne & Wear in the north east of England. The seat was created in its current form in 2010. The current member of parliament is the Labour Party’s Nick Brown who has served since 2010 (Newcastle upon Tyne East and Wallsend 1997–2010 and Newcastle upon Tyne East 1983–1997). At present I have supplied an e-mail address & have been contacted by hundreds of constituents from Newcastle East on a large number of different topics. I have replied to as many as possible. I also have a Facebook page & Twitter account. If elected I would keep in touch with residents via post, phone, e-mail & Facebook. 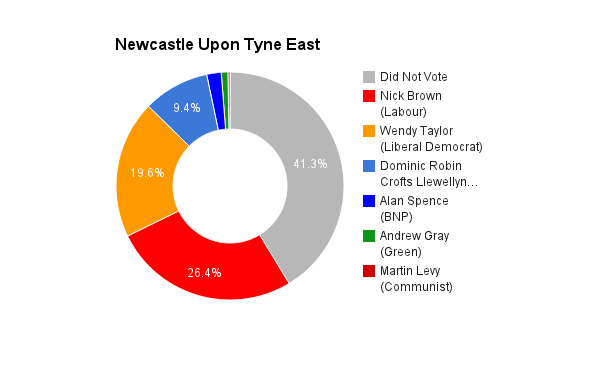 I have lived & worked in Newcastle East for over 30 years & know the constituency well. I have been a local Councillor for 27 years & have always worked hard to deal with issues affecting people in my ward & neighbouring areas. I keep in touch with regular newsletters & via Facebook. 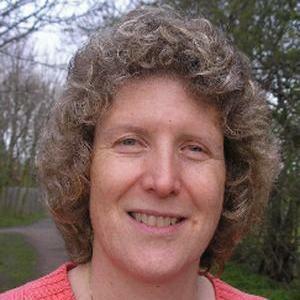 I work as a Hospital Consultant & would always campaign to protect NHS services. I do think the last Government had to tackle the massive debt & that difficult decisions had to be made. No Liberal Democrat would go into Government wanting to make cuts, but the economy has started to grow, unemployment is falling & more jobs are available. Legal immigration is essential for the UK. Many sectors depend on immigrants for their work force, such as the NHS, farming & hospitality. The vast majority of immigrants work hard, pay their taxes & contribute to our culture. Foreign students are also very important for Higher Education & should be encouraged to study in the UK. We do need to make sure we know who is leaving the UK as well as entering, so exit checks are essential & we need to make sure public services are available for everyone, but I believe the benefits of immigration far outway the downsides. We need a strong economy to allow wages to increase again, but it’s important for the next Government to raise the minimum wage & encourage employers, both public & private, to pay the living wage. The NHS is already the most cost effective health system in the world, but additional funding is needed due to increasing demand. We need to do more on tackling the causes of ill health, such as poor housing, lack of exercise, obesity etc & more to keep people at home rather than being admitted to hospital. Health needs to be fully integrated with social care & mental & physical health need parity of esteem. Unemployment is falling, but we need to do more to ensure young people have the correct skills to take up the available jobs. We need more good quality apprenticeships & more vocational courses in schools. Older unemployed adults need help, support & training to enable them to start or get back into work. Ideally Parliament should represent the population better, but I don’t think there is a lack of representation. Membership of the EU is vital for the UK economy, as well as helping to tackle issues that cross national boundaries, such as Climate Change, organised crime & terrorism. I would encourage constituents to vote to stay in Europe to protect all the North East jobs that depend on our trade with Europe. There are improvements I’d like to see in Europe, such as stopping the use of Strasbourg as a second home for the European Parliament, as this wastes money, but I believe it would greatly diminish the Uk’s status in the world if we left the EU.